Five British terror suspects are due to stand trial on charges of plotting an Islamic State-inspired attack on police officers and soldiers in London. The five men have appeared at the Old Bailey in London via video link from separate high-security prisons around London. Tarik Hassane, 21, of Ladbroke Grove, Suhaib Majeed, 20, of St John’s Wood, Nyall Hamlett, 24, of Notting Hill, Momem Motasim, 21, of Bayswater, and Nathan Cuffy, 25, of Notting Hill, were arrested in counter-terrorism raids in October. One suspect is believed to have traveled to Syria to fight with Islamic State (also known as ISIS, or ISIL). According to the Guardian, the men were laughing and joking with each other as they appeared on court screens. The four were arrested “on suspicion of being concerned in the commission, preparation or instigation of acts of terrorism,” according to a statement by Metropolitan Police commissioner Sir Bernard Hogan-Howe following the arrests. The suspects are accused of obtaining a handgun and silencer to carry out their attack, possibly in a drive-by shooting. Detectives reportedly found a Baikal handgun, a silencer and ammunition, as well as Instagram photos of two Metropolitan Police officers and two police community support officers. They are also said to have been in possession of al Qaeda’s English-language magazine, Inspire, and a copy of the ISIS magazine, Dabiq, which contained images of the beheading of the American journalist Steven Sotloff. The five have reportedly sworn allegiance to Islamic State and have used Google Street View to map out Shepherd’s Bush police station and White City Territorial Army barracks in London, possibly for an attack. The men demonstrated some degree of “tradecraft” by using code words for money, mopeds and firearms, a court heard in October when they first appeared over the allegations. After the men’s arrest, friends and supporters of Tarik Hassane took to social media to campaign against his detention under the hashtag #JusticeForTarik. Hundreds of Twitter users posted the hashtag to express solidarity with Hassane, with some accusing UK authorities of Islamophobia. “A Muslim mentions ‘war’ in an innocent context and is labeled ‘terrorist’ but these Islamophobes are ‘freedom of speech’ #JusticeForTarik,” tweeted one supporter. Hassane, who goes by the nickname “The Surgeon,” was studying medicine in Khartoum, Sudan, after being rejected for a place at Kings College, London. The judge, Mr Justice Wilkie, adjourned the plea hearing until February 27. 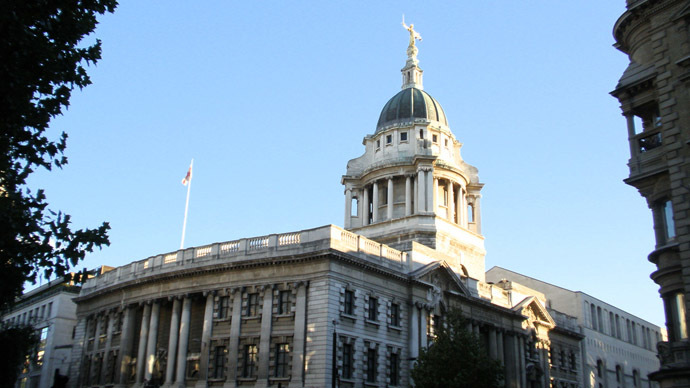 The men are due to stand trial at Woolwich Crown Court from June 3.